The founders of MonaVie Dallin and Karee Larson have decided to launch a new Network Marketing business. After successfully taking Monaie to over a billion dollars in sale in fact they where the fastest direct sales company to reach a billion. Dallin Larsen resigning from MonaVie with a 2 year non-compete clause and planned to retire. But after much prayer and conversation with his wife Karee Larsen they decided one more time one last time. 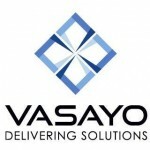 As of this blog post Vasayo is in pre pre launch. With PreLaunch scheduled for December 3rd 2016 and Launch and product shipment scheduled for USA and Canada January 2017. Vasayo is a health and wellness company with products in multiple categories. To start with Vasayo will launch with 5 core products. I was at Dallin Larsen’s house for the special meeting of top leaders and company team. Because of the nondisclosure I signed and my utmost respect for Dallin and thour new company I will not get into details about the Vasayo product or Vasayo compensation plan. I will say they are both very amazing. As Vasayo founder Dallin Larsen announces this information I will put the info out on my blog so stay tuned. If you would like to position yourself with one of the Vasayo founding leadership teams please call Vincent St.Louis 916-798-8508 and lock in your spot on this amazing opportunity and be a Vasayo founding distributor. This is beyond ground floor. Don’t wait Vasayo is ready to take on the world and needs YOU to be a founding distributor. This entry was posted on Thursday, October 27th, 2016 at 5:39 am	and is filed under Generic. You can follow any responses to this entry through the RSS 2.0 feed. Both comments and pings are currently closed.